Renee Ullom and her family have lived in the Brandon Valley School District for 23 years. Renee and her husband, Ron, a Communications Electronic Technician at Sanford USD Medical Center, have two daughters; Haley will be a junior at USD and Emily is a 12th grader at BVHS. Renee is an RN, PA-C at Sanford USD Medical Center in Sioux Falls. She is actively involved with the Brandon/Valley Springs/Garretson Girl Scouts, supports the BVHS Marching Lynx Band Program and is the secretary for the Fine Arts Boosters. She will serve as chair of the Alternative Education Committee and as a member of Student Activities, Curriculum & Technology and the Transportation Committees. She is also the Board President of the East Dakota Educational Cooperative Board, dba as Teachwell Solutions. Her term will continue through June of 2016. Sue Hegland has lived in Brandon for fifteen years with her husband Luther and their three children. Michael and Shannon are graduates of BVHS and are attending SDSU. Jacob is a 12th grader at BVHS. Luther (Mike), is also a graduate of Brandon Valley. Sue is a multisensory structured language tutor, trained in Structured Word Inquiry and the Orton-Gillingham approach. She also serves on the board of directors for the Upper Midwest Branch of the International Dyslexia Association. Sue will serve as chair of the Curriculum & Technology Committee and the Personnel Welfare Committee and she will be a member of the City Affairs & Legislation Committee and Alternative Education Committee. Her term will continue through June of 2017. Gregg Ode has spent his entire life living in the Brandon Valley School District. Gregg and his wife, Jane are the parents of two children, Alex graduated from BVHS in 2005 and from SDSU in 2010 and Elisabeth graduated from BVHS in 2010 BVHS and from SDSU 2014. Gregg is currently involved, with his brother, in a dairy and grain farming operation. 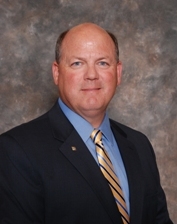 He will serve as chair of the Buildings & Grounds Committee and the Transportation Committee. He will also serve as a member of the Personnel Welfare Committee. His term will continue through June of 2018. Cary Schroeder and his wife, Jan moved to Brandon in 1999. They have three daughters, two of which are in college and one is currently a student at Brandon Valley High School. 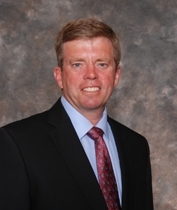 He has been in the financial services industry for 29 years and currently is a financial advisor with Edward Jones. Cary will serve as chair of the Safety Committee and will be a member of the Buildings & Grounds and Child Nutrition/Wellness Committee. Sandy Klatt is an active mom of four and is passionate for kids. Sandy and her husband of 20 years, Kevin, have four children: Carter, a junior; Courtney, a sophomore; Caleb, an 8th grader; and Colten, a junior kindergartener at Brandon Elementary. Kevin is a Sales Agronomist with Cargill AgHorizons and Sandy is blessed to be a stay-home mom who loves to attend and support the kids' activities. She represents South Dakota's large schools' boards on the SDHSAA Board of Directors for a term through June of 2018. 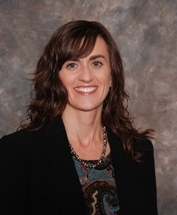 She is also Brandon Valley's delegate to ASBSD, a member of Brandon's Board of Equalization, and a member of the Fine Arts and Athletic Booster Clubs and the BVMS PTSO. She is a member of First Evangelical Free Church in Sioux Falls, where she has enjoyed ministry to children through Awana for 15 years. She will serve as a Chair of the Child Nutrition & Wellness Committee and member of the City Affairs & Legislation and Safety Committees. Her term continues through June of 2018.